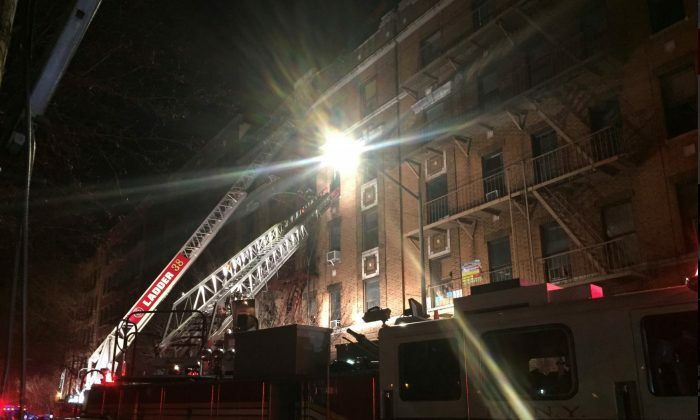 NEW YORK — A 3-year-old boy playing with the burners on a kitchen stove started a fire in a New York City apartment building that killed 12 people, including four children, city officials said on Friday. 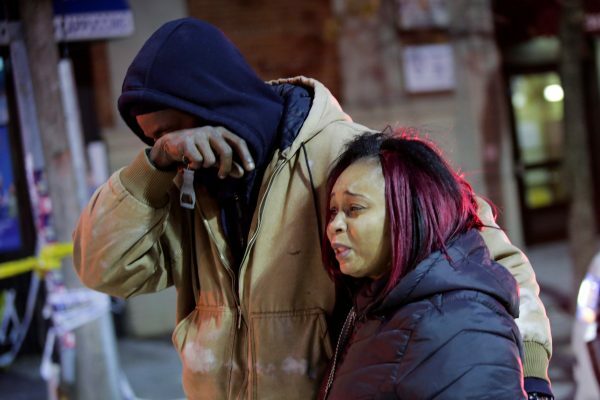 The toddler had a history of fiddling with the stove in the kitchen of his family’s first-floor apartment, his mother told officials investigating the deadliest fire in the city since 1990. Shortly before 7 p.m. (midnight GMT) on Thursday the child, who had been left unattended, started screaming as the kitchen filled with smoke and fire, Daniel Nigro, the city’s fire department commissioner, told reporters at a news conference. His mother grabbed him and a younger sibling, running outside to safety and leaving the apartment door open. “The stairway acted like a chimney,” Nigro said at the Friday news conference. The blaze swept out the apartment doorway to higher floors of the five-story building, fanned by fresh oxygen each time frightened tenants flung open windows. Children aged 1, 2 and 7 as well as a boy whose age was unknown died, along with four men and four women, according to the New York Police Department. Among the dead were at least three members of the same family Karen Francis, 37, Charmela Francis, 7, and Kylie Francis, 2. Also identified as deceased were Maria Batiz, 58, and 19-year-old Shantay Young. “Children starting fires is not rare,” Nigro said. He emphasized that young children should not be left unattended, and those fleeing apartment fires should always shut doors behind them once the last person is out. Authorities said firefighters rescued 12 people from the building and four people were in the hospital in critical condition. More than 160 firefighters responded to the four-alarm blaze, the first arriving about 3 minutes after emergency calls came in. About 20 people were already on fire escapes, Nigro said. New York City is going through a bitter cold snap with temperatures in the low-teens Fahrenheit (minus teens Celsius)and high winds. At least 14 families were homeless, and four of them were taken to hotels, according to the American Red Cross. “There’s still around 10 families we have not connected with yet,” said Michael de Vulpillieres, a Red Cross spokesman. 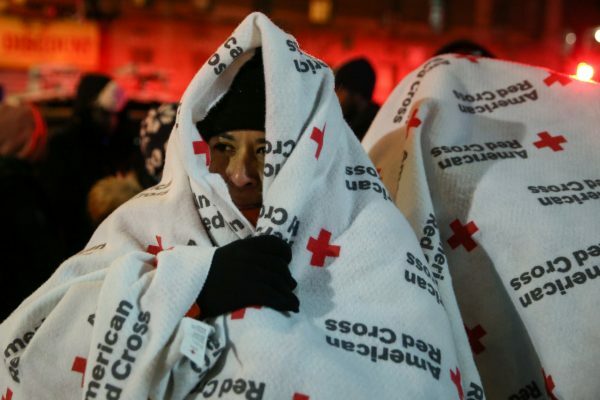 Red Cross representatives stationed on the block offered blankets and smoke alarm installations to residents. Firefighters sifted through the charred interior of the building, but the exterior showed little damage and the red fire escapes were intact. Shards of glass and chunks of ice littered the sidewalk outside. The building, with 26 apartments, has at least six open building code violations, according to city records. One violation was for a broken smoke detector in an apartment on the first floor, reported in August. The building is in the Belmont section of the Bronx, a primarily residential, close-knit neighborhood known as the “Little Italy” of the borough, near Fordham University and the Bronx Zoo. 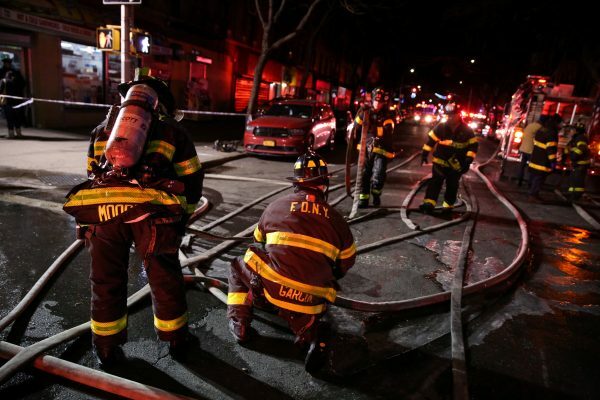 In 2007, 10 immigrants from Mali, including nine children, died after a space heater caught fire in a Bronx building.